Baldor is a well known name in the field of Servo Drives and Motion Control Products. 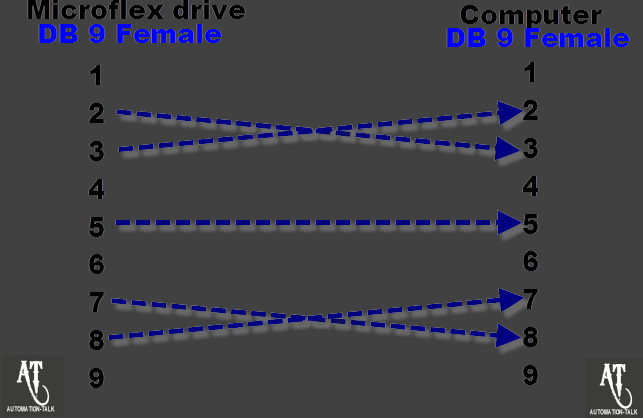 Microflex is one of the range of Servo Drives Manufactured by Baldor. 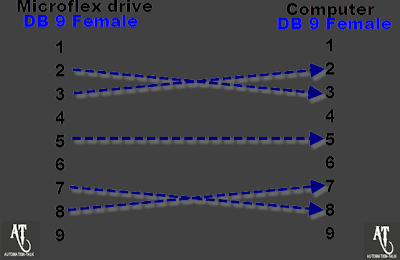 There is one RS232 DB 9 Male connector on the drive for Connecting to the Computer for the Programming/Auto-Tuning purpose. We will see How to make Baldor Microflex Family Connecting Cable to PC. There is one Rs232 DB9 Male Port provided on the drive for its interfacing with the PC. We will see the Connection Diagram of this Baldor Drive. Make the Cable as in above Diagram and we recommend you to use the shielded cable and connect the shield to the body of connector at either of one side. You can subscribe to get all HMI , PLC Programming Cables in Yours Inbox. Thanks Will help me a lot.